The No. 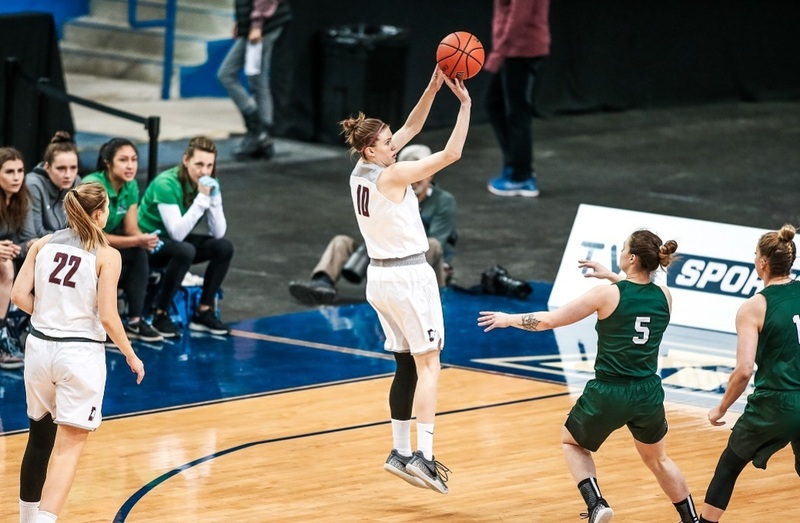 2 McMaster Marauders are advancing to the U SPORTS Women’s Basketball Championship after defeating the No. 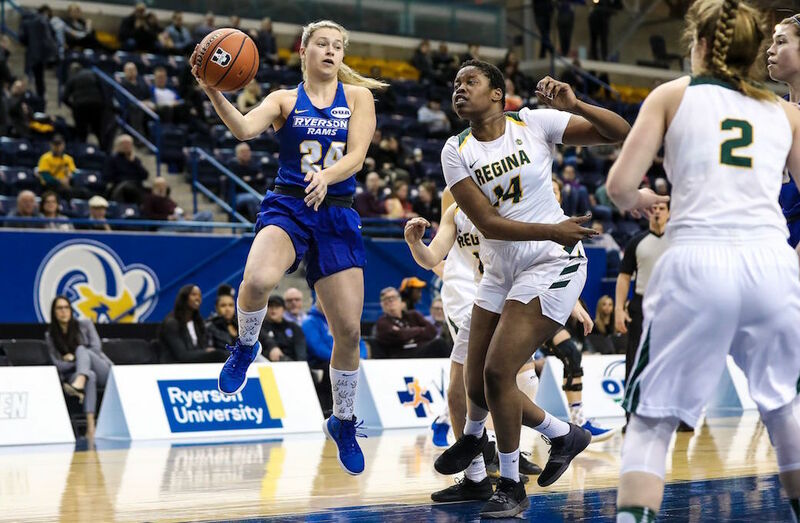 3 Saskatchewan Huskies 73-66 on Saturday afternoon at the Mattamy Athletic Centre. After a long ball down the court, Sarah Gates (Newmarket, Ont.) sunk a layup to put the Marauders on the board. She continued to drive hard to the net alongside Christina Buttenham (Hamilton, Ont.) who confidently stepped into the arc to net a number of clean balls to give the Marauders and early lead. Saskatchewan utilized every chance they received at the foul line to trail the Marauders 8-7 at the midway point. The Huskies moved well around the Marauders’ posts, but the Marauders created a back screen to lead 16-13 at the end of the first quarter. The Huskies controlled the second quarter from the start. Katriana Philipenko sunk a three for the opening points and Summer Masikewich (Calgary, Alta.) pushed to put them on board. The Huskies continued to find an opening under the net to only trail 26-21 halfway through the quarter. If it wasn’t for Gates, who notably put up 12 points in the second quarter, the Marauders would have lost the lead. 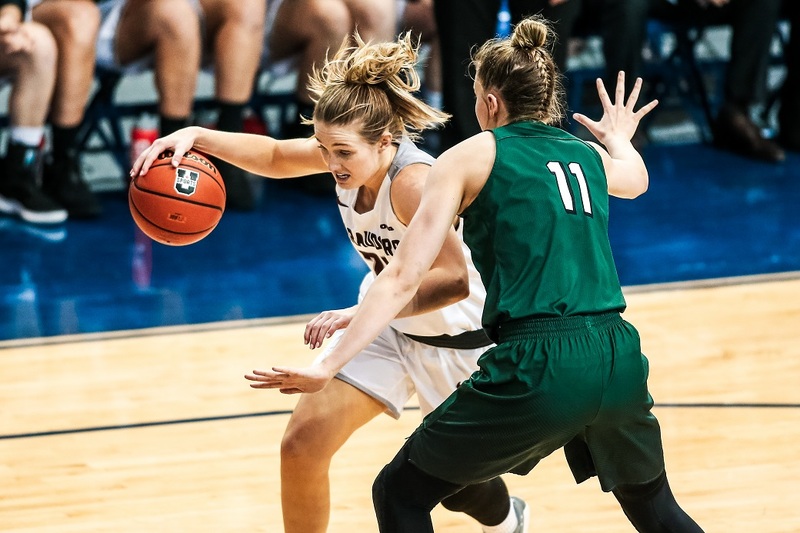 Gates quickly quieted the Huskies by finding the rim, sneaking her way into the arc and sinking the three balls, while the Marauders struggled with consistency under the net. The Huskies were able to find power in their momentum and headed into the locker room tied at 33. 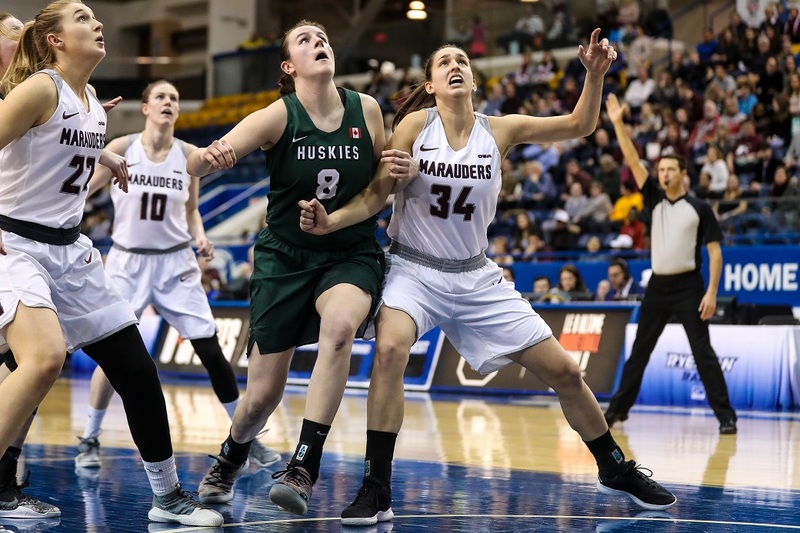 McMaster was restored coming into the third quarter and increased their pace to advance past the Huskies. At the midway point of the frame, the Marauders led 43-37, and they built a momentum that didn’t slow down. She finished with 10 points, seven assists, two turnovers, two blocks and two steals. Hilary Hanaka (Hamilton, Ont.) earned herself a three. Gates was completing each shot; she was aggressive down low, and took charge of the foul line. Linnaea Harper (Newmarket, Ont.) was strong in the deep end of the zone and in the arc. She completed plays, and a bounce pass to Buttenham that ended in a layup only increased their momentum more. Buttenham tallied eight points in the quarter to extend the Marauders lead 59-47. The Marauders continued to dominate into the fourth. 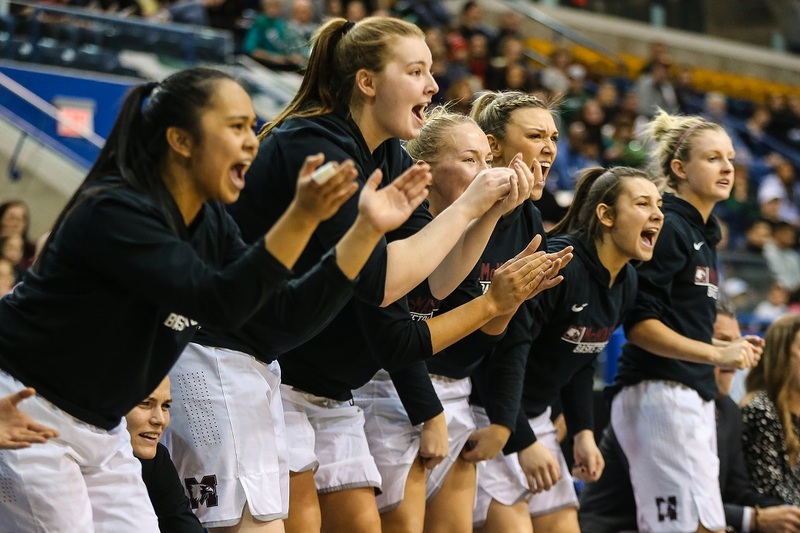 Hanaka sunk a three and Harper protected the ball with effective passing while taking advantage of each opportunity in the opening and on the free throw line. The Huskies weren’t giving in without a fight. The Marauders had to tighten their block to prevent their technical offence from pushing through. Saskatchewan’s Summer Masikewich was not afraid to dive in deep to try and trim the deficit. Sabine Dukate stood comfortably atop the arc, tallying 11 points. The Huskies capitalized on the change in pace to close the gap, but the Marauders took the quarter to the final buzzer for a 73-66 final.